Writer/director Alex Garland’s Annihilation, based on the first book of a trilogy by Jeff VanderMeer, picks up the great science fiction tradition of utilizing a fantasy encounter with an utterly alien form of life to shed harsh and revealing light on flaws in the human condition. Like his criticially praised debut Ex Machina, one of 2015’s best films, Garland doesn’t seek to illuminate the hurtful pathologies of modern politics or current affairs but the deeper drives and urges of the human race. Annihilation is ambiguous about the errors of human natures, however, presenting their self-sabotaging stasis as both a danger to people and a resistant, protective armour, especially in contrast to the unpredictable and threatening constancy of change represented by the film’s mysterious alien presence. Annihilation presents a varied yet all-female expedition-team quintet of damaged individuals probing into the pervasive cellular-resequencing properties of a region known as Area X while also probing at their unseen internal wounds, often of their own making. Created by a meteorite strike on a lighthouse deep in a coastal American state park, Area X is surrounded entirely by a undulating rainbow-prism curtain known as the Shimmer. The Shimmer’s border is advancing gradually but inexorably, and unless halted will eventually consume the entirety of the surface of the planet. Given that everyone who has penetrated the Shimmer has failed to cross back out, figuring out Area X’s secrets and rigging a fix for its all-consuming threat takes on existential proportions. 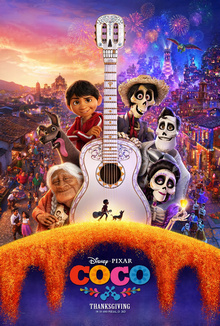 Our protagonist, Lena (Natalie Portman) is a university biologist and former soldier mourning the one-year anniversary of the disappearance of her Marine husband Kane (Oscar Isaac) as well as dealing with the guilt of an affair with a colleague that may have speeded his mission departure. When Kane returns home unexpectedly (in what presents in initial exposure as a grief-led dream sequence before becoming more tangible) as Lena symbolically repaints their bedroom to the tune of Crosby, Stills & Nash’s “Helplessly Hoping” (which becomes Garland’s metaphoric anthem for the elusive longing of human desire and connection), Lena’s joy at reunion with Kane is quickly turned to sour confusion at his monosyllabic obtuseness and then sudden, blood-coughing violent illness. Whisked out of an ambulance by armed troops, Lena and Kane are brought to a facility at Area X where he is treated and she is filled in on the Shimmer by a cryptic and slightly hostile psychologist named Dr. Ventress (Jennifer Jason Leigh). Kane, it turns out, had disappeared on a mission into the Shimmer and is the first person to ever emerge from it alive, albeit possibly mortally worse for wear. Driven by both a scientific curiosity about what happened to Kane inside as well as her own continuing guilt at poisoning their relationship with adultery, Lena joins Ventress and three other women – scrappy paramedic Anya (Gina Rodriguez), fellow scientist Cassie (Tuva Novotny), and the fresh-out-of-post-grad Josie (Tessa Thompson) – on a mission into the Shimmer with the lighthouse, and a final discovery of what is happening inside the curtain, as their goal. What they find is strange and disorienting, sometimes gorgeous but often extremely perilous. They lose days of time as soon as they enter the woods with no memory of what has happened, find strange rhizomatic vine growths with numerous species of flower and plant growing from them, and encounter aggressive Lovecraftian predators like an enormous crocodile and a disturbing, deadly bear (their confrontation with the latter in an abandoned house at night is the film’s highlight sequence of tension, dread, and dark invention). They also learn by degrees that whatever alien life force is directing the Shimmer and its effects is re-sequencing and even duplicating DNA and cells like a spreading cancer, a process Josie calls refraction (as of light through a prism). Locating the eerie, womb-like source of this cancer at the lighthouse, Lena will also uncover a troubling truth about the escaped Kane and pass along an essential self-destructive element of human nature to the extraterrestrial beings that will prove an unlikely salvation for life on Earth. Annihilation is a tremendous visual experience from Garland, a confident expansion of effects-aided imagination from the excellently-conceived but above all limited chamber-piece vision of Ex Machina. Wonder and terror and the uncanny intermingle inside the Shimmer, as when the team comes across eerie funereal humanlike forms of plant growths created by the refraction process, standing frozen in pastures like the petrified remains of the victims of Pompeii or the nuclear wall-shadows of Hiroshima. The Bechdel Test-exploding squad of warrior scientist women are uniformly superb, with Leigh’s febrile flintiness and Thompson’s mix of keen intelligence and neophyte’s shock standing out particularly. Portman’s brittle strength marks the actress, famous for playing ballerinas and First Ladies and spritely girlfriends, as an unlikely action hero, but she makes the leap ably while also nailing down Lena’s halcyon days of happiness with Kane and her traumatized, haunted interrogation by Area X officials (mainly one called Lomax played by Benedict Wong) after her escape that forms the film’s narrative frame. 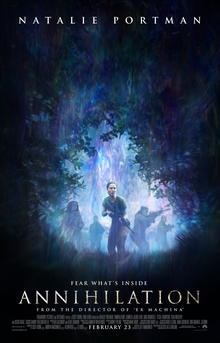 What makes Annihilation special beyond its expert refraction of genre tropes and visual imaginings, however, is also what made Garland’s previous film special: it renders complex and difficult moral and existential questions about human choice and intent in simple, resonant terms without surrending their inherent complexity and difficulty. Annihilation also concludes its narrative with powerful finality and thematic closure as Ex Machina did, while further injecting a note of ambiguity and mystery-box uncertainty in its final moments, although the oft-misread doppelgänger suggestion of its stinging last shot is probably more accurately interpreted as a suggestion of Lena’s hard-won acceptance of the necessity of change through her experience in the Shimmer, as an Alt Shift X explainer video suggests. However one interprets Annihilation‘s ideas, it’s an involving, intelligent and compelling visceral sci-fi cinematic experience, a further triumph from the talented Garland and an expansion of his abilities as a film storyteller.